More and more Hollywood celebrities are proving that everyday Americans aren’t the only ones struggling with debt. From credit card debt to back taxes with the IRS, high profile celebrities continue to display poor money management habits. 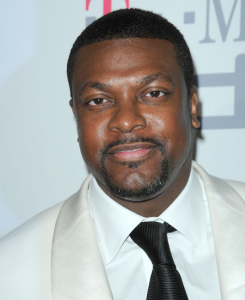 The latest example is Chris Tucker, who has begun the process of repaying his tax debt. The actor currently owes $12 million in tax debt to the IRS and the state of Georgia. The $12 million that Chris Tucker owes in tax debt comes from tax situations in 2001, 2002, 2004, 2005, and 2006. The state of Georgia is also requesting half a million from the Hollywood actor. Having starred in films such as Rush Hour, Friday, and Silver Linings Playbook, Chris Tucker has reportedly been avoiding paying his tax debt – and his procrastination has finally caught up with him. Tucker recently sold his mansion in Los Angeles, netting $1 million that he’s already forwarded to the IRS. Despite being the highest paid actor in the Rush Hour series, Chris Tucker’s net worth is now negative thanks to his outstanding tax debt with the IRS. The debt situation is continuing to worsen for Tucker, as his 10,000 square foot mansion, worth approximately $6 million, has been foreclosed as well. At the age of 41, Chris Tucker isn’t the first Hollywood celebrity to get in trouble with the IRS. Lauryn Hill, Wesley Snipes, and Snoop Lion are all working to eliminate their tax debt with America’s Internal Revenue Service. One of the major tax considerations for Hollywood performers is that their incomes vary wildly from year to year. Because they are not technically employed and must file their own taxes, Hollywood celebrities have more pitfalls when it comes to tax debt. In fact, it’s estimated that approximately 50 Hollywood stars owe $50,000 or more to the IRS. When income drops and the tax debt remains unpaid, Hollywood stars like Chris Tucker find themselves in trouble.